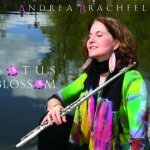 Andrea Brachfeld’s latest CD “Lotus Blossom” is both a return to Jazz roots and a spiritual journey for a flutist that has for the most part made her name in Afro-Cuban music. Joined by a seasoned cast with Bill O’Connell on piano, Rufus Reid on bass and Winard Harper on drums, the ten track album weaves through standards and originals. From the opening track it is clear that we are listening to music that is in the moment and reminiscent of a live session, which is exactly what jazz should be. 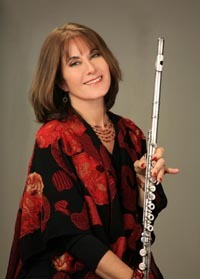 Bill O’Connell’s rhythmic sense, strengthened through years of collaboration with flutist Dave Valentin, provides a foundation for Andrea’s interpretation and a natural bridge between her jazz and Latin jazz vocabulary. Reid’s full sound and groove and Harper’s imaginative and tasteful drumming add the jazz sensibility and depth to the record. 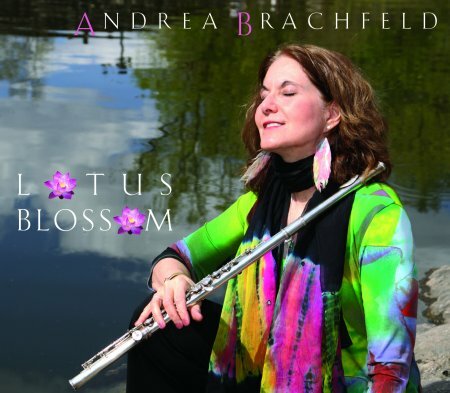 The album starts with a title track Lotus Blossom that is delicate and warm, with Andrea’s beautiful low register mixing particularly well into the overall sound and adding to the beauty of Strayhorn’s composition. One of the gems on the album is Herbie Mann’s Memphis Underground, which guests Wycliffe Gordon on trombone and sousaphone. The sousaphone paired with excellent trombone arrangements, as well as the sultry groove set by Harper, make this for a very special take on a classic tune, with Andrea choosing piccolo to cut through the dense texture and treating us to a brilliant solo where her understanding of Latin rhythms comes through. 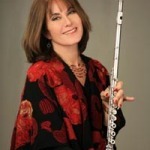 Nancy Harms’ guest vocal on Andrea’s beautiful original composition There Was a Time takes us on a magical journey and definitely makes us wish for even more originals by the composer and flutist. The album flows well and the band is inspired and tight. 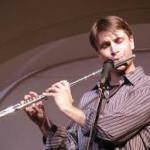 A native of Zagreb, Croatia, but a resident of Los Angeles, California, Damjan Krajacic holds a Master of Music degree from the California State University Los Angeles in Afro-Latin Music, where he studied charanga, jazz, Brazilian and classical flute with the world-renowned flutist (and Flute Journal Editorial Board member) Danilo Lozano in addition to studying jazz flute with the award-winning flutist and composer James Newton. 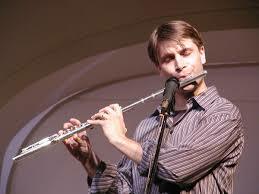 He has seven, soon to be to be eight, CD releases under his name.